HELENA, Mont. (AP) — A grizzly bear attacked an elk hunter who surprised the sow and her cub north of Yellowstone National Park, with the bear sinking her teeth into his arm and clawing his eye before another hunter drove her off, the victim recounted Monday. 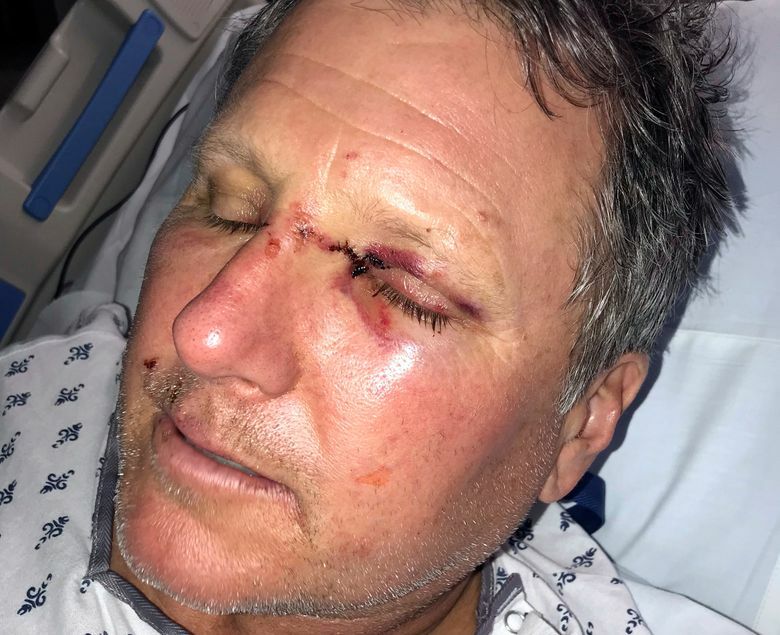 The mauling of Bob Legasa, 57, in the Gallatin National Forest on Saturday was at least the seventh bear attack on a human since May in the Northern Rocky Mountains. 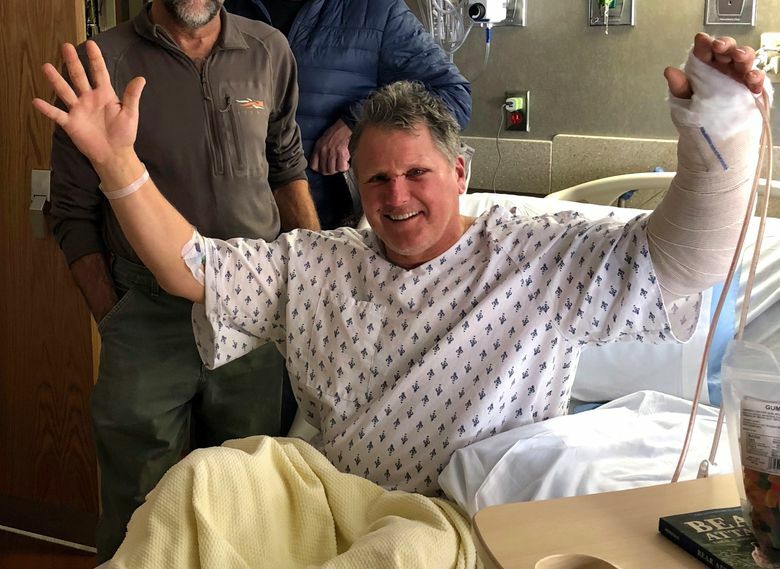 Legasa, awaiting his second surgery on Monday, told The Associated Press in a phone interview from his hospital room in Bozeman, Montana, that he and his hunting partner were moving toward some elk when he heard a growl. It was a 2-year-old cub and its mother about 12 yards (11 meters) away from the tree that he had just stepped away from. After the cub growled and moved aside, its mother charged, Legasa said. “I was hoping it was going to be a bluff charge, and halfway through I realized it was going to be the real deal,” he said. The bow hunter from Hayden, Idaho, didn’t have time to reach for his bear spray; he barely had time to raise his arms in front of his face. 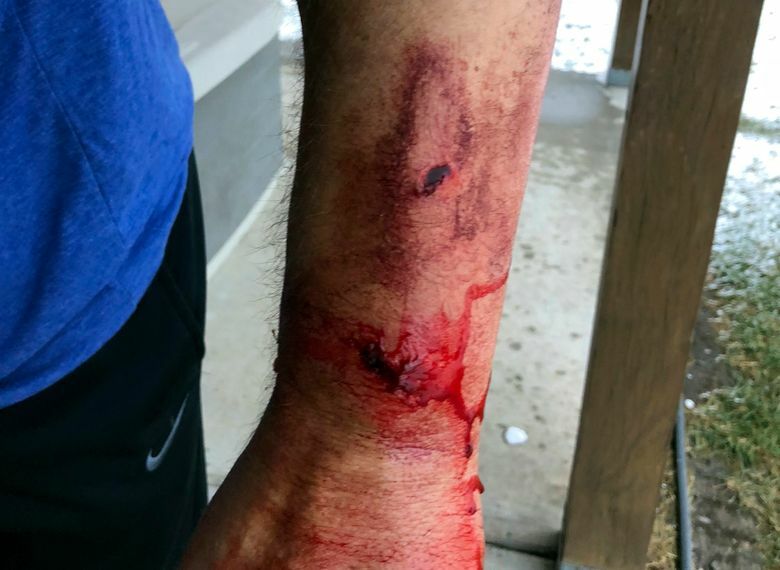 The grizzly bit his hand, leaving puncture wounds and breaking a bone in his forearm. The sow clawed at his eye, leaving a bloody gash across the bridge of his nose. His partner and hunting guide, Greg Gibson, discharged bear spray and the grizzly let go. Legasa pulled out his own spray, but inadvertently sprayed himself with the Mace-like mist. Gibson discharged his spray canister again, and the wind blew the mist back into his eyes as the bears ran off. Less than three weeks earlier, the two men made a bear spray safety video for Gibson’s Montana Guide Service, Legasa said. Now, both were on the ground, blinded by bear spray. The men were eventually able to get back to their truck and drove to a hospital. Legasa was operated on Saturday to flush out his wounds to prevent infection. On Monday, he was scheduled for another surgery to put in a plate and screw to secure his broken bone. Montana Fish, Wildlife and Parks officials said in a statement Monday that the bear’s response was normal for a sow with a cub encountering a human at close range. It was the most recent in a spate of bear encounters in Wyoming and Montana, several of which have happened during hunting season when hunters look for deer and elk in bear habitat. Wyoming and Idaho had been set to open the first grizzly bear hunting season in the Rockies since the 1990s, but a judge intervened last month and said the bears living around Yellowstone still deserved federal protections as a threatened species. 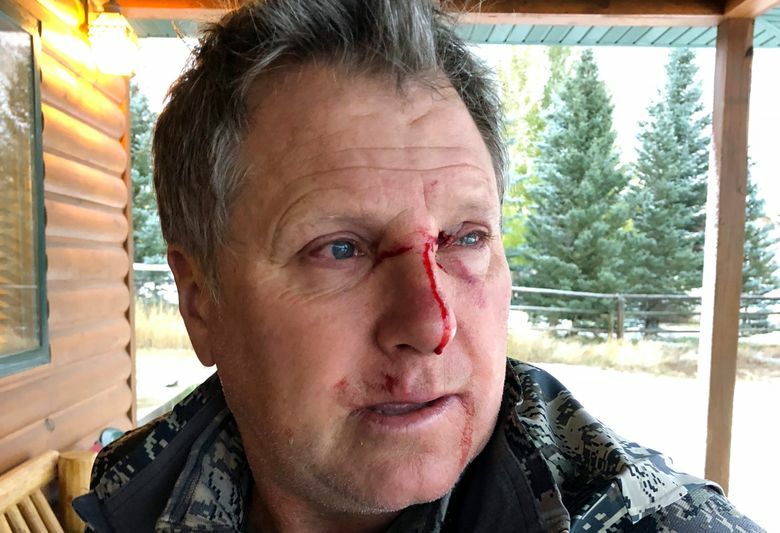 One attack in Wyoming last month killed hunting guide Mark Uptain of Jackson Hole. Separately, a bow hunter on Montana’s Blackfeet Indian Reservation reported killing a grizzly that attacked him, and a hunting guide shot another grizzly that charged three people along Wyoming’s upper Fork of the Shoshone River. In May, a grizzly wounded a bear researcher working in the Cabinet Mountains of northwestern Montana. A 10-year-old boy was injured in an attack in Yellowstone park in August while hiking with his family, and a hiker in the Beartooth Mountains on the Montana-Wyoming border in September. Legasa said the experience won’t put him off hunting, a hobby since he was a teenager. But, he added, he will be more cautious in the future. “I’m always going to have my hunting partner close, and reposition where I carry my bear spray so I can grab it with both hands,” he said.